Homefront: The Revolution is now available on PC and consoles therefore you can find after the jump the traditional launch trailer. Moreover, Deep Silver reveals details about the game's Expansion Pass which will bring content to the "30-hour" single-player campaign. New districts will come in 2016 with The Voice of Freedom and Aftermath and a bigger expansion, Beyond the Walls, will follow in 2017. 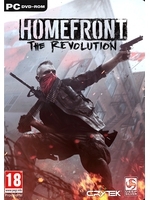 Larkspur, Calif., May 17, 2016 - Deep Silver and Dambuster Studios today proudly announce the release of their new epic first person shooter, Homefront®: The Revolution. Available today in North America and May 20th throughout the rest of the world, players will be able to immerse themselves in this truly unique story-driven shooter. Taking the role of a resistance fighter that is outgunned and outmatched, fight to liberate Philadelphia from oppression and its occupying forces. "With Homefront: The Revolution, we deliver a reboot of the Homefront IP, a brand new open world shooter game with asymmetric, guerilla warfare. Not only that, we also deliver with it a deep story about defending our values, defending our country, defending our society, and that is as current as it can be," said Dr. Klemens Kundratitz, CEO of Koch Media. Coming in 2016, The Voice of Freedom and Aftermath will both add new districts and several hours of original single-player content that complement Homefront's huge 30-hour campaign. A much larger expansion - Beyond the Walls - will follow in 2017, with more details to come. 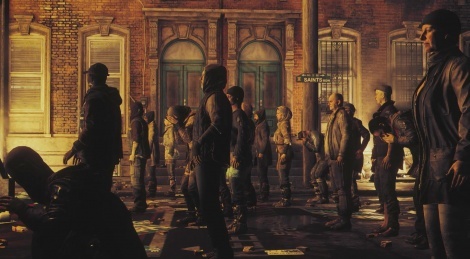 In addition to the epic 30-hour single player campaign, Homefront's online co-operative 'Resistance Mode' will launch with six Missions, with the first set of new Missions set to arrive in June. All additional Resistance Mode missions will be FREE, and Dambuster Studios are committed to delivering high quality added content updates for the first year at no extra cost. It's getting crushed in reviews. Shame, but not unexpected. I wonder if Crytek would have made a better game. cryteks recent track record hasn't exactly been good, so i doubt it. why this even got a sequel boggles my mind. the first was a stinker. Crysis 1 and Warhead was their only best games, so damn good! Even those were pretty mediocre. They make graphics benchmarks and that's about it. Crysis 2 was good imho. I liked playing it. Finished it 3 times. Crysis 1 however was a masterpiece as far as I'm concerned. Finished it 15 times, always with other strategies. Crysis 3 was by far their worst game. It felt rushed and incomplete. I don't think they made another game after that, except for iOS games. Did they? Edit: Forgot about Rise :-) It wasn't bad, but not good enough. And Warface, but that was a free to play MP originally made for the Asian market. Its funny how Crysis 3 had the best controls and good suit mods but worse game in the series. Crysis 2 was...alright i guess. But Crysis/Warhead is unbeatable in the series, i would love to play them both with their new engine in 1080p on ps4, even though i have played the hell out of them. I only played the Crysis games on PC. So never had issues with the controls. No i meant as in how the suit functions combined with the controls like in Crysis 2 and 3 the powers were more or less combined and less of an hassle to pick each power one at a time and how in Crysis 3 sprint was no longer on speed power but its own thing...etc. Hear that. I hate that game and loved the original. And Warhead.